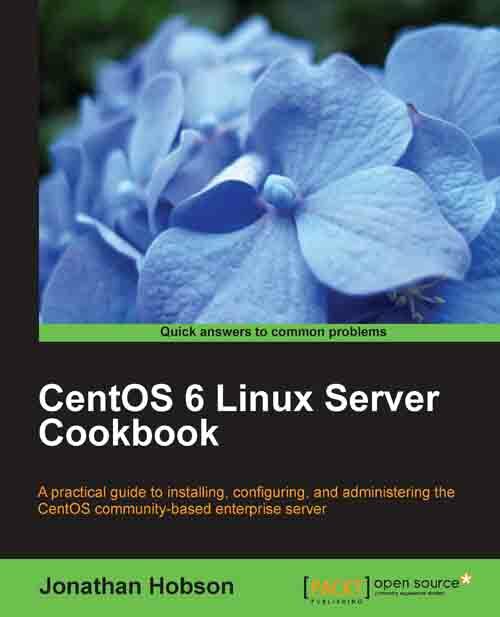 Centos 6 Linux Server Cookbook is an all-purpose guide to getting you up and going on your CentOS server. It’s really designed for beginners to hit the ground running and get going with their CentOS servers. One of the key benefits of the book is that its structure makes it extremely easy to search and find what you’re looking for. When we’re so used to Googling things, a clear table of contents does wonders for the usability of a book. It’s second core benefit is that it has hundreds of coding examples clearly illustrated and easy to take and apply to your own circumstances. In particular, the Centos 6 Linux Server Cookbook is a fantastic resource for those planning on sitting their RHCSA or RHCE exam, since its content maps nicely onto what both exams require. But like anything, there are trade-offs. While the Centos Cookbook is fantastic for beginners, it’s not a developed or in-depth as other books. What’s more, it’s far more focused on solving problems then on explaining the abstract concepts of CentOS server hosting. So while there are examples and coding snippets galore, it’s best used in tandem with resources that deepen your understanding of Linux servers. Finally, it was written for CentOS 6.5, which is still what more hosting companies have on their dedicated and VPS servers; however, at the time of writing CentOS 7 has just been released, making the book largely relevant but with some outdated sections or code examples. All in all, Hobson has done a great job of producing a beginner’s guide, at the cost of some higher level understanding and problem solving ability. Plus, the book is already a little out of date. That said, it’s a great source of beginner information, shortcuts, and better ways to manage your Linux server.